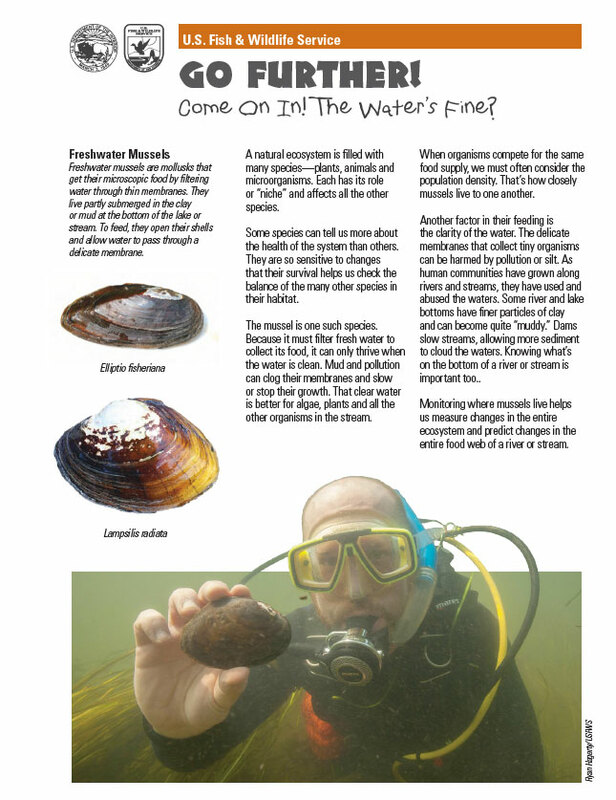 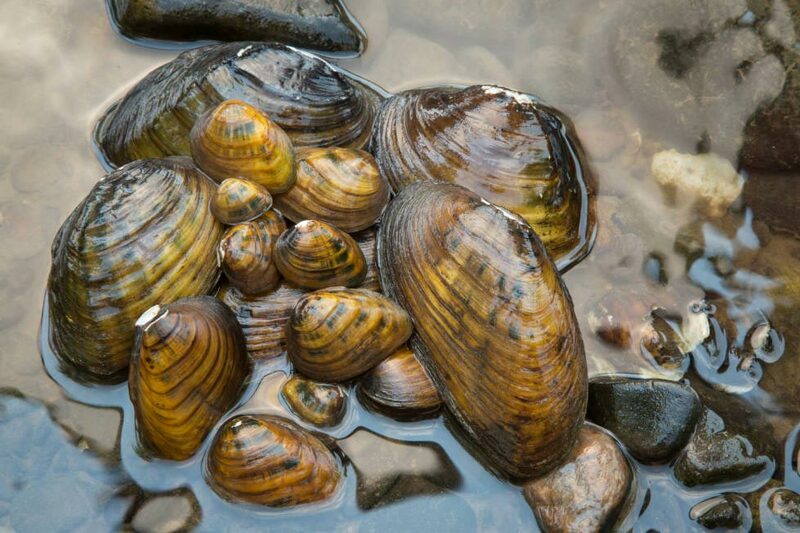 Join Chelsea Mckinney on the Potomac River to visit an underwater habitat and learn about our worlds natural water filters, the freshwater mussels. 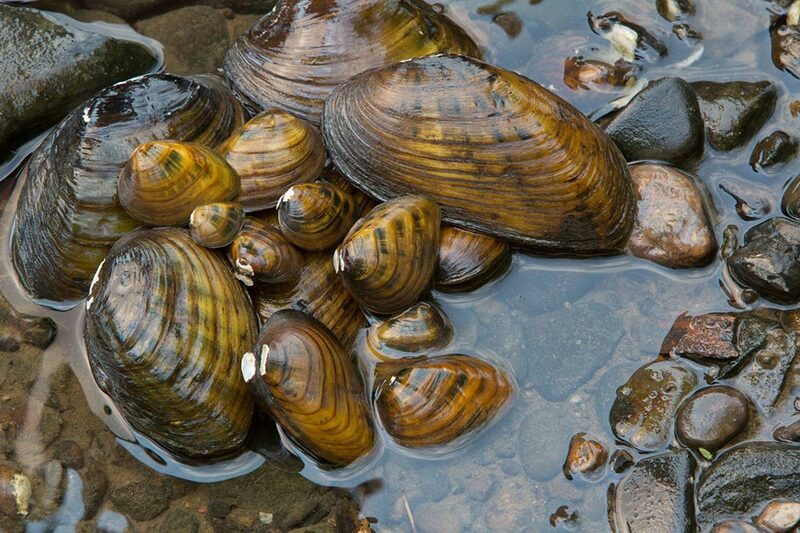 Freshwater mussels are mollusks that get their microscopic food by filtering water through thin membranes. 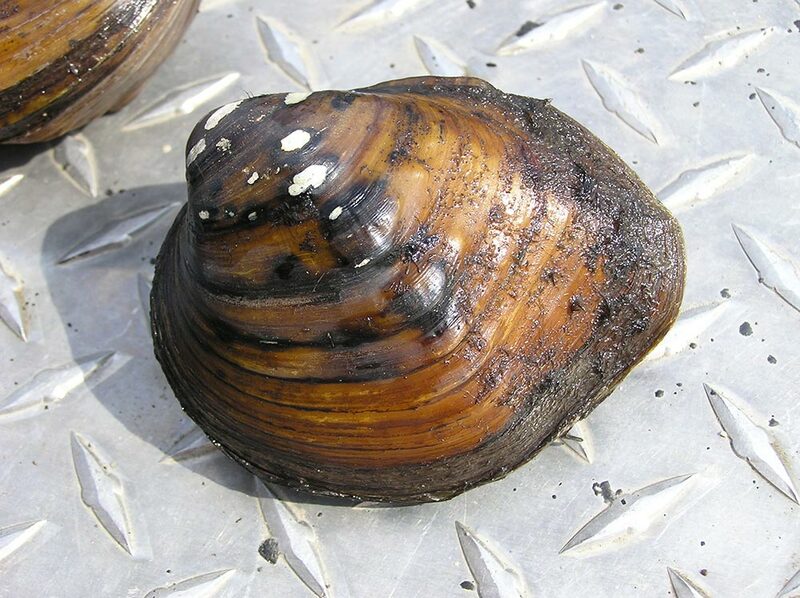 They live partly submerged in the clay or mud at the bottom of the lake or stream. To feed, they open their shells and allow water to pass through a delicate membrane.